Drawing out of us what is most beautiful and creative. For those who are spiritually dry, desolate, or dormant, this Worship Primer serves as a reawakening: poetic presentations of the Gospel paired with melodic meditations, then pressed with practical postures of the heart, help us begin conversing once again with our first Love. Whether as an individual or a small group; within a few hours or drawn over a week; primers serve to press into our hearts, drawing out of us what is most beautiful and creative. Print: double-sided with short-edge binding. 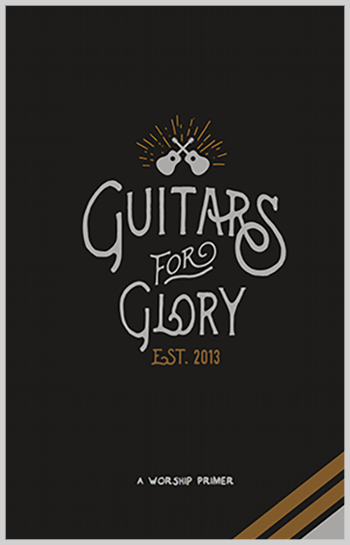 This Worship Primer was created by our team member, Matthew Ouellette, in the interest of joining Guitars for Glory in our mission of “Equipping the world for worship”. While many know of our role in gifting instruments around the globe, this intention is borne of a deeper commitment to equip the world for worship in both the heart and art of worship. This Worship Primer is designed to equip the heart for worship.